The scene is of animals that are typically tended by nomadic peoples, most likely sheep or goats. 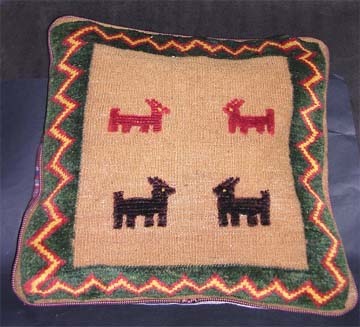 Dominant colours: tan, red, dark brown, green. 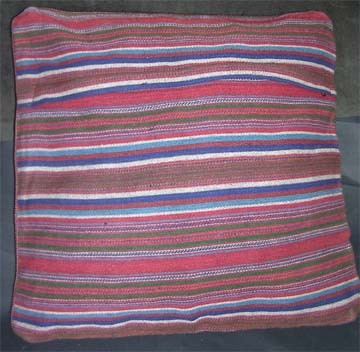 The backing is a striped pattern, also favoured by nomadic peoples, with a zip closure. Fill with a compatible-sized plain pillow, fiberfill, or material of your choice.